The question, therefore, is ultimately about whether growth in the services sector can outpace, or adequately cushion, the expected contraction in manufacturing output. In the short run, China’s prospects are indeed uncertain, due in large part to the ongoing trade dispute with the United States. The prevailing enervation of China’s manufacturing sector is attributable to the uncertainty engendered by U.S. President Donald Trump’s ongoing trade war. Should the two sides fail to reach a deal by the March deadline, American tariffs will cover all of China’s exports to the country. Given that intermediate goods form a majority of the trade between the two, this will likely result in more downward pressure on China’s manufacturing PMI. In such a scenario, it is unlikely that a service sector expansion would sufficiently mitigate the consequent deflationary pressures, and stimuli delivered by the Chinese government will likely be inefficient and result in resource misallocation. 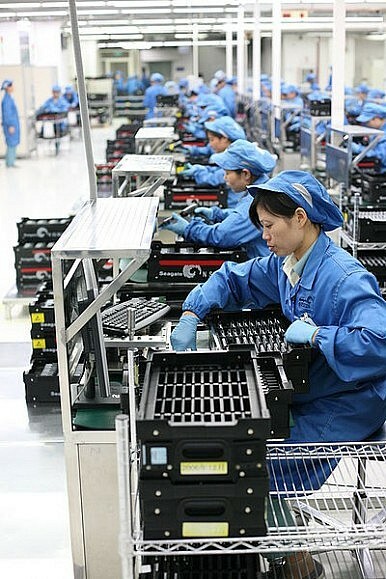 Alternatively, if China is able to reach a settlement with the United States, it will stand a better chance at avoiding a precipitous slowdown by allocating resources to the service sector, even as the manufacturing sector posts modest contractions. Nevertheless, no miracles should be expected from the Chinese economy in 2019. In the medium and long term, on the other hand, appreciating the role of services in China’s economy will drive one to conclude that a protracted slowdown is hardly a foregone conclusion. China has an undeniably remarkable track record in the proliferation of market-led innovations, particularly in the services sector, as the experiences of Baidu, Alibaba, and Tencent attest to. Given the sheer size of the Chinese market, the concomitant abundance of consumer data, and what renowned venture capitalist Kai-Fu Lee calls “gladiatorial competition” within corporate China, the services sector is slated to emerge as the economy’s principal source of productivity. Importantly, this component of the economy will be relatively insulated from the deteriorating international environment China finds herself confronting. While the West’s animosity toward China’s industrial policies will certainly prove a hindrance to its progress in science-led innovations in areas such as semiconductors and robotics, it can hardly stifle companies seeking to address more specific consumer preferences. As such, China’s services sector will be relatively free of the multifarious encumbrances typically faced by the manufacturing sector. To be sure, China does face a number of obstacles to maintaining economic growth and escaping the middle-income trap in the medium and long term. An aging population and failed attempts to increase the birth rate can impede potential consumption expenditure. Debt and financial risk threaten to destabilize the economy and introduce deflationary pressures. On the other hand, although it may augur ill for performance in 2019, a drop in the manufacturing PMI does not quite sound the death knell of the Chinese economy. Observers need to pay greater attention to trends in the services PMI and household consumption expenditure data in order to map China’s trajectory. Five Themes From China’s 2017 Economic Data So FarIs Moving Up the Value Chain a Mistake for China?MK Tang: China’s Reforms Are Unfinished BusinessChina Slowdown Rains on Party’s Parade2019: Dog Year For Asian Economies?